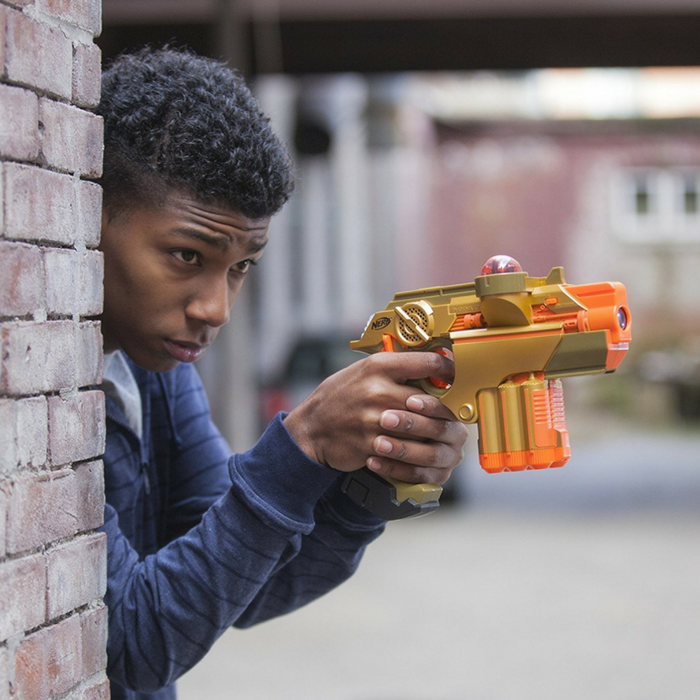 Nerf Lazer Tag Phoenix LTX Tagger 2-Pack Just $39.99! Down From $64! PLUS FREE Shipping! You are here: Home / Great Deals / Amazon Deals / Nerf Lazer Tag Phoenix LTX Tagger 2-Pack Just $39.99! Down From $64! PLUS FREE Shipping! Are you looking for a gift for your kids? Then check out this Nerf Lazer Tag Phoenix LTX Tagger 2-Pack which is currently offered in Amazon for just $39.99 down from $63.99 PLUS FREE shipping! Tag or be tagged in this intense, real-life lazer combat game! The complete 2-player system includes 2 Phoenix LTX taggers that register hits with lights, sounds and vibrations for thrilling minute-to-minute action! The rumble pack lets you know when you’ve been hit, while the recoil feature engages with every shot fired. Invite your friends to join you in multi-player modes (additional taggers sold separately) and watch your back if you don’t want to get tagged! This is fun!